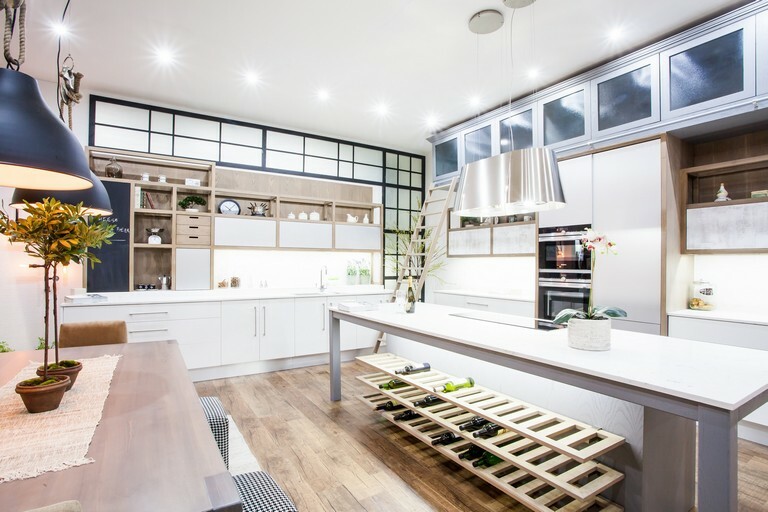 The annual Cape Town HOMEMAKERS Expo, on at the CTICC from August 30 to September 2, is the Western Cape’s most trusted exhibition for everything décor, design, lifestyle and DIY – for real homes. Whether your interest is in what’s trending in home improvement, enhancing your outdoor living space, refreshing your interiors or creating a beautiful kitchen or bathroom, catch the best industry experts together under one roof. Packed with inspirational ideas and features, including highlights such as the tuis | home theatre, INTERIOR spaces, d’VINE life, truly ARTISAN, Tafelberg AV Emporium, WODC Concrete Workshop, for the love of CONCRETE Design and Art Competitions, and The Concrete Shop, the Expo promises to offer “everything your heart desires” for your home and garden projects. The tuis | home theatre will be back in action. Watch the Home | Tuis experts as they present hands-on DIY, home makeover and foodie workshops. The INTERIOR spaces feature area will show how trendsetting interior gurus create their ultimate space – showing off bespoke décor, fabrics and cutting edge design. One of visitors’ favourites – d’VINE life – where local is lekker, will again be the place for avid foodies to taste artisanal gourmet treats, find out more about the latest food fads, the best wines the Cape has to offer, as well as handcrafted beer and gins. A collection of functional and decorative handcraft in truly ARTISAN – skilfully made by local artisans – will range from homeware, ceramics and leather goods to design, art and custom jewellery. Experience a whole new world in the very latest Audio and Visual technology at the Tafelberg AV Emporium, showcasing the best in digital infotainment and appliances. The WODC Concrete Workshop is a new addition to the Expo, offering a creative space for craftsmen, makers and designers to engage with visitors and demonstrate the many uses of concrete. Look out for the daily programme. Back by popular demand, the for the love of CONCRETE Design and Art Competitions will see designers and artists battle it out for R36000 in prize monies. The Design Competition will feature functional concrete design, whereas the Art Competition will be a visual expression of all things art – both using concrete as a medium. The top entries in both categories will be on display and visitors will be invited to bid on their favourite design or artwork, with funds raised going to DARG (Domestic Animal Rescue Group). For details on how to enter, visit the website (details at the end of the article). The Concrete Shop will offer one-of-a-kind whimsical and witty concrete products, from dipped décor accessories to bespoke garden ornaments. All products will be sold in aid of DARG. “Regardless of your age, type of home, requirements or dreams, we’ll have it all at the show. Whether a shopper, inspiration seeker or DIY enthusiast, it’s all about real homes for real people,” says Sandy Edwards, HOMEMAKERS Expo Organiser – Cape Town. The Cape TOWN HOMEMAKERS Expo is presented by HOMEMAKERS, the biggest home enhancement exhibition group in South Africa, presenting four home lifestyle events in Cape Town, Johannesburg, Pretoria and Port Elizabeth, reaching 100000 visitors every year. * Tickets will be available at the door, or visit www.quicket.co.za to pre-book. Adults pay R90, pensioners R70 and kids under 16 enter free. The Expo will be open Thursday to Saturday from 10am to 7pm, and on Sunday from 10am to 6pm. For more information, visit www.homemakersonline.co.za/expo/cape-town, or https://www.facebook.com/HOMEMAKERSonline. We have 30 double tickets up for grabs. To enter simply send an email to win@48hours.co.za with the venue for this year’s Homemakers Expo Cape Town. Winners will be notified via email on Wednesday 29 August 2018.